Hiya guys! I'm coming at you with yet another shade from the October run of the Polish Pickup. Yes, this month is shaping out to be a killer and at this point I really don't expect anything less. If you haven't caught the buzz yet, this month the theme is Monsters & Mythical Creatures. Of course, it's absolutely perfection for the month of ghouls and the spooky... aka Halloween. 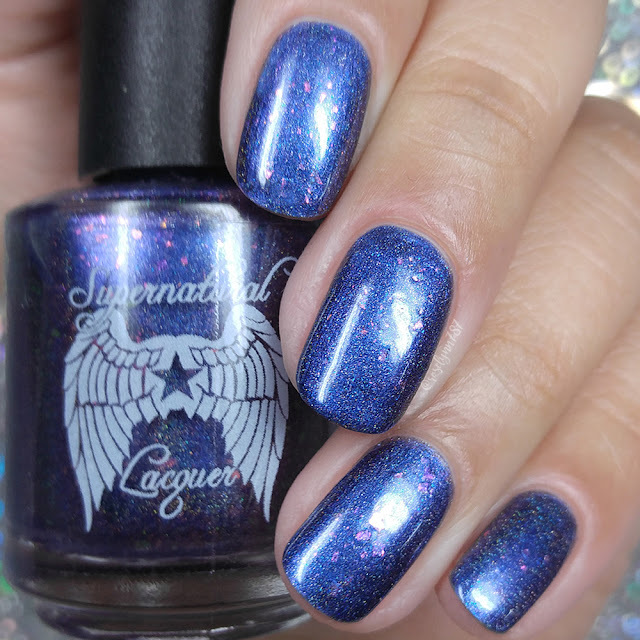 For today I'm sharing swatches for Supernatural Lacquer contribution to the Polish Pickup Collaboration. There is only a few days left to get those shopping lists together and *spoiler alert* this one should definitely make the cut. But without further ado, let's get to the swatches! ¿Cómo Se Llama-corn? by Supernatural Lacquer will be available for purchase through the Polish Pickup Shop October 6th at 11AM EST through October 9th. This full-size shade will retail for $12.50 each. If you're not familiar with the concept, the Polish Pickup offers a fun, interactive experience that allows you to submit theme ideas, vote for your favorite theme, and selectively purchase your favorite polishes every month. As I mentioned before, the theme that was voted for October was Monsters & Mythical Creatures! For this month, Stefanie was inspired by a llamacorn, the magical offspring of a llama and a unicorn. Supernatural Lacquer - ¿Cómo Se Llama-corn? ¿Cómo Se Llama-corn? can be described as a blurple base with purple to blue shift, hot pink color shift flakes and scattered holo. The name is just the cutest and the polish definitely lives up to it as well. Photos don't do this polish any justice and it was so hard to capture the intense sparkle. The scarce flakes add a nice touch to the finish without overwhelming or outdoing the main effect of the holo. The formula has a sheer application, but builds-up great for full coverage. It has a nice balanced consistency, not too thick or too thin. Dries down to a smooth finish. The base has a stronger scent than usual, the kind of stronger skunk smell that is often described with blue polishes. It tends to be a little too much for me during application, but once it dries the smell is not noticeable. Shown in two coats and sealed with a glossy topcoat. To recap, ¿Cómo Se Llama-corn? 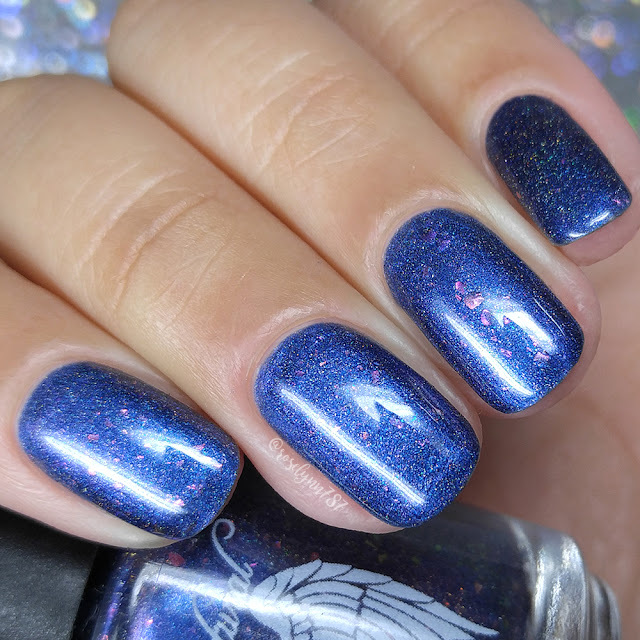 by Supernatural Lacquer will be available for purchase through the Polish Pickup Shop October 6th at 11AM EST through October 9th. This full-size shade will retail for $12.50 each.